1.1 The name of the organization shall be the Order of Science, otherwise known as the Scientist Order. 2.1 An abbey is the abode of the monk or nun managed by a hierarchy under a written rule. The mendicant Order of Science maintains the Science Abbey website as an island of wisdom, quiet reflection and peaceful contemplation. It is our digital monastery. The Order of Science supports a healthy, secure, sustainable lifestyle and an ever-deepening appreciation of science, the liberal arts, the humanities and global culture. We highly value the preservation of historic sites, artifacts, source documents and traditions. 2.2 Science is the most powerful method of observation and technological advancement known to humankind. It is the very foundation of modern medicine, national security, environmental protection, social science, and economic development. The global humanist culture of human rights and modern science is the greatest civilization the world has ever known. The whole world gave rise to its strength and lives under its protection. This rule is written to enshrine and honor this hallowed institution. 2.3 We do not worship science or assign divinity to scientists, but we honor scientists as heroes somewhat like the religious among us revere the teachers and saints of the respective faiths. We pay respects to the virtuous acts and wisdom of teachers and adherents of all traditions. We pronounce our dedication to the Declaration of Human Rights and we commit to the dictates of international law insofar as the law aligns with the fundamental principles of universal human rights. 2.4 The monk’s center of daily life is to face the here and now and to contemplate the eternal, the Cosmos, and our place in the universe. Some of us follow the tradition we were born into; others follow a way that called to them and initiated them; still others practice a combination or synthesis of two or more spiritual, philosophical or health-oriented approaches. We are each called to a contemplative discipline like mindfulness, compassion meditation, yoga, qigong, zazen, or Lectio Divina in the same way that we may be called to specific vocations, like educator, librarian, architect, doctor, actor, businessperson or homemaker. 2.5 We judge others not by any other status than their own independent merits. We respect all people equally, regardless of any status, while we maintain the rights of freedom of speech and religion, including the right to criticize all ideas and practices. We hold these truths to be highest, most fundamental, and greater than the assertions of any and all religious claims by any so-called authority, whatsoever. None of our preconceived ideas go unchallenged and in investigating our world-views we feed and exercise them, refresh them, and come closer to understanding others and ourselves. Science is the method we use to test all things. OBSERVE: Scientists first make an observation. HYPOTHESIZE: Then they form a hypothesis. Predictions are made through observation of natural phenomena and experimentation under controlled conditions. EXPERIMENT: They perform an experiment. ANALYZE: They analyze the data logically and critically to determine the accuracy of the hypothesis and to make further observations. REPORT: They report their findings and invite other experimental scientists to repeat the experiments for verification. 2.10 The scientific worldview is not a belief system; it is a method of observation of the physical world, which adapts with new information to build a database of knowledge. It can also inspire the spirituality or other-worldliness that organized religions and the performing arts often evoke. An essential part of spiritually is being able to view ourselves and the world through the eyes of others, to empathize with them and nurture them. This can only be experienced fully within a community, especially one purposefully gathered for spiritual refreshment and labor. 2.11 Anyone on a spiritual journey must join such a community at least once. A few will remain as pillars for the community throughout their entire lives. The Order of Science cannot replace the humanist gathering, the parish church or other temple, any more than it can replace the scientific laboratory. The Order is online, global and secular. It is a place to meet for the study of science, meditation and monasticism. 3.1 People of all backgrounds are welcome in our community. We draw no distinctions between married, unmarried, divorced or widowed, healthy or afflicted, freeman or slave or prisoner, youth or aged. We do not discriminate according to place of birth, language, race, ethnicity, religion, political orientation, or economic status. No one shall be discriminated against for reasons of gender, gender identity, sexual orientation, or any other distinguishing feature. 4.1.1 The egalitarian nature of the Order is proven in its grade system from novice to monk or nun to prior or prioress, whereby each member may equally attain every level of the hierarchy. The Order of Science was not formed to become the personal fan club of some cult leader who members are meant to obey. The role of the abbot is as a resource, much like a librarian, docent or tour guide. Again, the society is a global network for those interested in science, meditation and monasticism. 4.1.2 The apprenticeship of the Novice does not take a long time; anyone can learn and master this craft. Ordained monks and nuns should feel free to offer their views to the abbot/abbess or prior/prioress while humbly respecting his authority as head of the monastery, and offer full support to the abbot or prior in all lawful things dealing with the monastery. 4.1.3 Monks and nuns belonging to the Order of Science do not necessarily live under a single monastery roof as cenobites, nor are they expected to live as hermits or eremites, but may more resemble friars, who profess an allegiance to an order but live as itinerants and serve actively within lay society. No one is expected to take a vow of chastity or poverty, although devotion is a given. A secular rule with a constitution and individual priory by-laws govern the Order of Science to help the community focus, organize, and operate under the principles of liberty, equality and fraternity. 4.1.4 The Order of Science has no priesthood or chaplaincy, and hence no seminary, although we may form these institutions in the future if there is a demand. Those of the general public who affiliate with the Order but do not become professed monastics are called oblates. Oblates are welcome members of the monastic community, who forego the oath of the professed monastics, but make a formal, private promise to follow the Rule of the Order of Science as closely as their lifestyle permits. 4.1.5 Those who wish to explore science, meditation and monasticism deeper may undergo ordination as a monk or nun. We are brothers and sisters, a family, from the oblates and novices, to the monks and nuns, to the priors and the head of the order, the Abbot President. There is an initiation ceremony and registration whereby you officially become a novice monk or nun and then you are free to do as you will. 4.1.6 Ordination into the Order of Science only requires registration with your legal name, email, and the administration fee paid to the Abbot President. All initiates are registered as a novice for the first year, after which period they may take their vows as a monk or nun of the order and apply for that membership level, to be renewed annually along with payment of the administration fee. Every novice is to memorize the oath and the vows before receiving ordination as a monk. 4.1.7 The registered monk or nun will receive materials pertaining to their practice, and a new name that they submit, otherwise they will be assigned one chosen by the Abbot President. After one year as an ordained monk or nun the member who is inwardly called to do so may apply to become a prior and receive materials and instruction on how to join our labors as a volunteer. An abbot or prior must memorize the main parts of the Daily Offices and verbally answer questions about the Rule before receiving their certificate and title. 4.1.8 The Abbot President is abbot of Science Abbey, the mother abbey of all Order of Science priories. 4.2.1 In the event of a vacancy of the position of Abbot President through attrition, resignation or forced vacancy, the Priors and Prioresses of the Order shall fill via appointment such vacancy by a simple majority vote at a duly held meeting until a successor has been duly elected. 4.2.2 The Abbots President following the founder of the Order of Science will be a prior or prioress elected by a 2/3 majority of all ordained members, excluding novices. Candidates for Abbot President must have a proven record of outstanding selfless service to the Order and in most cases should be a senior prior or prioress within the Order. They should be trained scientists. All monks are advised to remain vigilant against corruption in self and others. Let all follow the Rule as a guide. The monastic vows are guidelines that are simple but difficult to execute. 4.2.3 Priors may form their own priories, or may be elected or chosen by the professed monks or nuns within an existing priory according to priory by-laws. After the founding prior or prioress has left their post open for replacement, the new prior or prioress is elected by the brethren and sisters by consensus and confirmed by the Abbot President of the Scientist Order. The prior/prioress makes a formal pledge to faithfully uphold the principles of the Order of Science as defined by the Rule. 4.3.1 The Abbot President is a lifelong position that may be abdicated at any time. Likewise, the Prior serves a life term unless the priory by-laws provide other rules of succession, or the Abbot President may forcibly remove a prior from his or her post at any time due to violations against the Rule. 4.4.1 Just as it is the task of the Abbot President or Abbess President to nurture all members of the Order of Science, so it is the duty of the prior or prioress to nurture the members of the priory. Each priory decides for itself if it will accept only cenobites, or eremitic monks, or both. 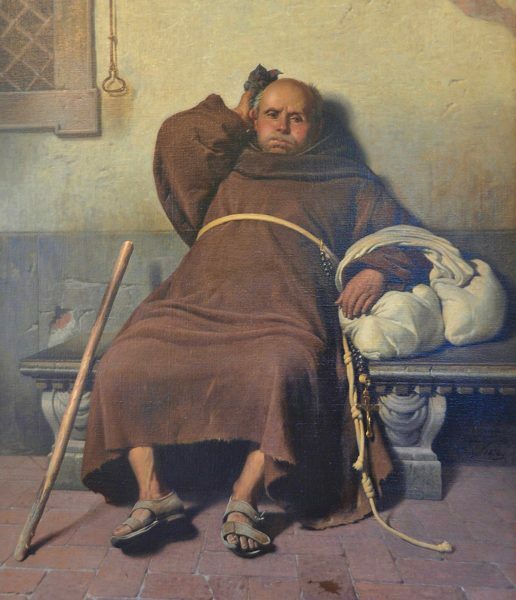 Priories with physical locations should attempt to provide temporary shelter to mendicant friars and visiting monks/nuns of the Scientist Order. Such locations should offer hospitable guest facilities to the public if possible, for a minimum donation, as outreach to the general population. 4.4.2 Each priory may choose to confine itself to being either a monastery for male monks or a convent for female nuns, or it may be non-discriminatory in its membership, which is generally recommended by the Order of Science. Other exclusionary criteria are against the spirit of the Order and not generally allowed. If a good argument is made for a special priory, the Abbot President may take this into consideration. 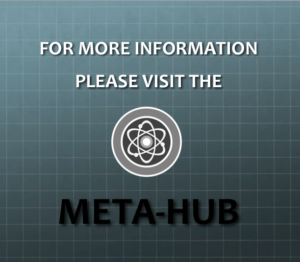 Priories may have specific requirements for its membership in order to perpetuate a special mission and function, such as a focus on solitary contemplation, a branch of science, or evangelism. 4.5.1 The Abbot (or Abbess) President is vowed to act on behalf of the best interests of the Order of Science and its monasteries. As chief monk, he or she has the only complete view of the workings of the order and often times other members must defer to this leader, not cognizant of all factors leading to the Abbot President’s decisions, but relying on the benevolence and competence of the head of the order. 4.5.2 A priory is the dependency of its mother abbey, and the superior, the prior, is subject to the abbot or abbess in all things related to the Order. Both orders of monastery are necessary to the Order of Science. 4.5.3 The prior or prioress is expected to form and maintain the by-laws of the priory under their care. The process of forming a priory is simple. A monk or nun of the Order of Science must join the membership as a prior or prioress. Priory by-laws must be written and available for all members of the priory. 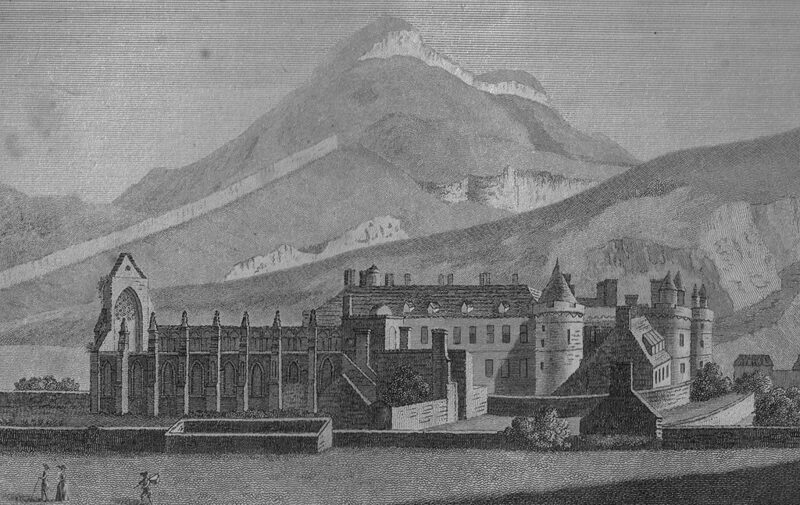 A priory by-laws prototype is provided below that may be revised as necessary or as desired. Imitation of the prototype is not mandatory. 4.5.4 The founding Abbot President of the Scientist Order benchmarked other monastic by-laws just as he researched other monastic rules, finding that these were often excessively verbose, he deliberately followed a minimalist style and kept all writings as brief and simple as possible. It is recommended that the prior or prioress of any priory do the same when forming a new priory or altering the by-laws of an established priory. 4.5.5 All by-laws must follow the Rule of the Order of Science and explicitly state their allegiance to the Order of Science. By-laws must be formally approved by the Abbot President of the Order of Science, who will record the details of the priory and send notice to the prior or prioress, giving the prior or prioress a specific time period (usually one week) to suggest corrections of the data. Once the by-laws are officially approved by the Abbot President of the Scientist Order, the prior or prioress is authorized to accept new members into his or her priory. 4.5.6 An authoritarian attitude within any priory will not be tolerated. The Order of Science stands for the principles of equality, liberty and fraternity. The prior or prioress must be a humble and wise role-model for his or her companions in the priory. He or she must govern with firmness and fairness, with discipline and compassion, leading by example and nurturing the leadership qualities of his or her fellow members. 5.1 The Abbot President shall host an annual meeting for the whole Order either at a stated location or an accessible online forum. The time and location of the meeting will be posted on the Order website one full month prior to the time of the meeting. Priors and Prioresses are expected to participate and all members are recommended to do so. 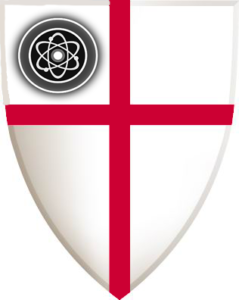 6.1 A prior or prioress may hold a priory and its associated assets as private property, or property may be donated to the non-profit organization of the Order of Science, otherwise known as the Scientist Order. 6.2 The Order may only be dissolved with a vote of the whole membership excluding novices winning the assent of nine-tenths (9/10) of the membership. The Order cannot be dissolved without the written and signed consent of the Abbot President. (c) All remaining assets shall be transferred to one or more organizations which are engaged in activities substantially similar to those of the Order of Science and which qualify as exempt under Section 501(c)(3) of the Internal Revenue Code of 1986 and exempt from taxation under Section 501(a) of said Code. 6.4 A priory may only be dissolved with the written and signed consent of the Prior and the Abbot President, and with a vote of the priory membership excluding novices winning the assent of two-thirds (2/3) of the priory membership. 7.1 The Abbot President may adopt such rules of procedure and regulations governing the conduct of Order business and the organization of the Order as he or she may deem necessary and proper insofar as such institutions align with the Rule of the Order. 7.2 Arbitration: If damage to person(s) or to the Order shall occur through the direction, action or inaction of the members of the Order, any individual member, or assemblage of members of the Order, shall have the right to request a special meeting in order to pursue an arbitration process by a committee of twelve members (excluding novices) made of the available most senior members of the Order. 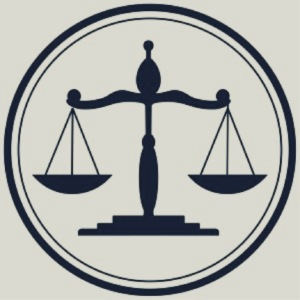 7.3 Determination of Arbitration: All parties shall hold sacred the determination and outcome of the above stated committee whose decision shall be held as legal and binding by all parties to the appeals process. 8.1 Any and all provisions of the Constitution may be modified, altered or amended by two-thirds majority vote of all members excluding novices, only with the assent of the Abbot President, either at a regular or special meeting called explicitly for the purpose of amending the Constitution. If the proposed amendment(s) are adopted as herein provided, the results of the vote shall be announced and declared adopted by the Abbot President, whereupon such amendments shall be in full force of effect either on the date specified for the enactment of said amendments, or without an adoption date and time, shall be in full force and effect immediately upon adoption. The oath has nothing to do with the concept of a higher power or anything supernatural. The oath binds the monk or nun to the One, the ultimate singularity; the Law, facts that usually can be known through scientific method; and the Good, the underlying principles of human rights. As in a marriage, the oath also binds the monk or nun to the whole community of the Order of Science, tying the scientific community together for the benefit of each and every one. Of the Order of Science upon the right path. I renounce all that opposes my natural true will. My community and the world. The monk makes an oath to renounce all that opposes one’s natural true will, purpose, and devotion to the right path. It is an awakening, an end in itself, an enlightened lifestyle tested by time and trial. The apprenticeship of the Novice does not take a long time; anyone can learn and master this craft. Ordained monks and nuns should feel free to offer their views to the abbot/abbess or prior/prioress while humbly respecting his authority as head of the monastery, and offer full support to the abbot or prior in all lawful things dealing with the monastery. Regular meditation is the heart and purpose of the monastery. A monastery allows members to pursue religious devotion to the discovery and cultivation of the true self and true will. The Order of Science is built upon meditations developed around ancient traditions, academic blueprints on the essentials of ritual ceremony, modern science and the advice of established experts. 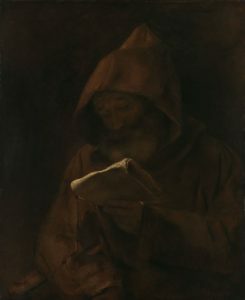 The monk or nun chooses a life of devotion and self-denial to offer instruction, guidance and healing; to assist the poor and distressed; and to preserve, study and create meaningful literature, music and art. It is recommended, but obviously not required, that the ordained monk or nun of the Order of Science perform the Daily Offices as a discipline of meditation and research. The terms “offices” and “Liturgy of the Hours” are borrowed from Christian monasticism and the Order of Science practice is parallel to that of the Benedictine Order. The Offices include morning, midday and evening meditation. The practices of the Daily Offices and Lectio Scientia begin with four steps: Relaxation; Tranquility and Deep Healing; Concentration; and Breathing. After one has entered the state of calm one reads passages assigned by the devotional calendar. Contemplation entails visualization and thinking about the passages and asking oneself questions about their content. One then determines a course of action related to the material and ideally adjusts one’s schedule accordingly. The meditation concludes with a period of stillness and silent mindfulness. 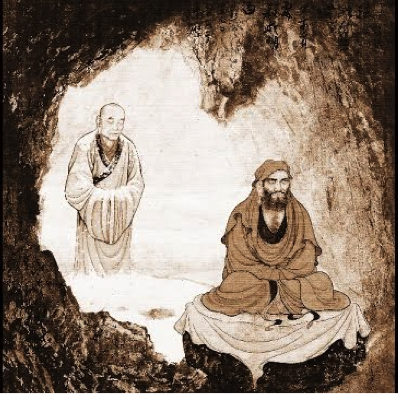 This “mindfulness” or “insight” technique of meditation may also be a monastic’s sole meditation practice. Such is the essence of the Order of Science. The rules of the Order of Science are very simple. We are for liberty, equality and fraternity. Liberty means we believe in freedom or free will, you are free to do as you will as long as you follow the rules we need to live as a community. There are monks from all over the world, from many different religions and cultures. That’s what makes us special. The Order only requires that you have a discipline of meditation and that you research science. No one is expected to swear obedience to a superior. Problems do arise from selfishness but the solution is not usually obedience to another person. A proper measure of selfishness is necessary to survival and prosperity. Obedience to another person is a fair treatment for those who lack self-discipline enough to operate civilly in society, and it is a good way to learn new skills or habits. However, for most people obedience is not necessary to moderate selfishness. Contemplation of one’s personal situation along with ethical considerations informed by science, and cultivation of self-discipline, is the accepted course for the monk or nun associated with the Order of Science. As a model of general philosophy and behavior, we model the ancient Buddhist Vinaya Pitaka, Zen Buddhist monastic regulations and the Christian Rule of Benedict. We also reference the “Xiang’er precepts” and “Nine Practices” from the Early Daoist Scriptures, 1999, pp. 49-50, Stephen R. Bokenkamp. We reference the Ancient History Sourcebook of Fordham University, the Jesuit University of New York, the ancient description of the first Western monks, by Philo of Alexandria, Egypt. Take note of the mention of interpreting symbols and allegories in scripture as secrets of nature: Philo Judaeus, On Ascetics, c. 30 CE. We also reference the ritual of the original 1776 Bavarian Order of Illuminati in Secret School of Wisdom: Minervalis illuminatus, or Illuminatus minor (the Lesser Illuminati Degree), and the Abbey of Thélème in Gargantua and Pantagruel by Rabelais. If you have a story you would like to share, or you would like to advertise your science-related non-profit, company or project on our website and social media, please contact the Abbott President with the details via our convenient Contact page HERE.